Domestic stock markets closed Monday’s session at new peaks, driven by widespread buying in banking, power and metal stocks amid positive global cues. The S&P BSE Sensex soared 442.31 points, or 1.16 per cent, to register a record closing high of 38,694.11. The NSE’s Nifty50 index surged 134.85 points or 1.17 per cent to settle at 11,691.95, also its highest closing level. Both the benchmarks Sensex and Nifty recorded their biggest single-day gains in nearly five months. On April 5 this year, the 30-share Sensex had rallied 577.73 points and the Nifty 50 climbed 196.75 points. Twenty nine out of 30 Sensex stocks finished the session in the green. Major gainers in the Sensex pack were Bharti Airtel (+3.93%), Power Grid (+3.64%), ICICI Bank (+2.97%), SBIN (+2.65%), Infosys (+2.53%) and YES Bank (+2.26%). Infosys, ICICI Bank, Reliance Industries were among the main contributors to the gains in Sensex. Hindalco Industries (+3.65%), Bharti Airtel (+3.51%), Power Grid (+3.35%), Tech Mahindra (+3.21%) and ICICI Bank (+2.92%) led the pack of Nifty gainers. ICICI Bank, India’s third-largest lender by assets, closed with a gain of nearly 3 per cent, while Kotak Mahindra ended 1.57 per cent higher on the BSE. Future Retail shares closed at 5.41 per cent, after news agency Reuters cited media reports as saying that Google and Amazon were in talks to buy a stake in the consumer products company. Strong buying witnessed in banking, finance, IT and metal stocks came on a day global markets touched two-week highs, firming up the domestic sentiment, say analysts. “Dovish comments by US Fed on gradual approach in tightening led to bullish sentiments in equities. 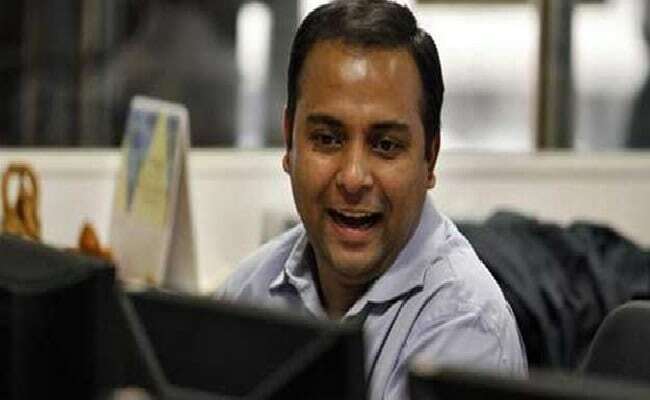 Sentiments were also helped by inflation numbers being moderate,” Viral Berawala, CIO, Essel Mutual Fund, told NDTV. Federal Reserve chairman Jerome Powell affirmed on Friday that the US central bank was sticking with its strategy of gradual rate hikes to protect economic growth. That triggered a rally in global stocks. Other Asian markets closed higher while European markets were firm in early deals. That supported the domestic markets. “Domestic markets were tracking global cues and (corporate) earnings across the board have been relatively strong, so we are at a stretched valuation,” Reuters quoted Sanjiv Bhasin, executive VP, markets and corporate affairs, India Infoline, as saying. Sentiment also got a boost on unabated buying by domestic institutional investors (DIIs) and fresh foreign fund inflows, giving push to the market uptrend. Net purchases of equities by domestic institutional investors (DIIs) stood at Rs. 904.75 crore last Friday, while foreign portfolio investors (FPIs) net sold shares worth Rs. 75.78 crore, provisional exchange data showed. Meanwhile, Jet Airways is all set to declare their June quarter results during the day. On August 9, Jet Airways’ board of directors had deferred Q1 earnings announcement. On the other hand, the only loser in the 30-share Sensex pack in the closing session was Sun Pharma (-1.25%). Main laggards on NSE Nifty were Sun Pharma (-1.32%), Bajaj Finserv (-0.29%) and Dr Reddy’s (-0.10).